During Austrofascism there were internment camps (Anhaltelager, see German Wikipedia), in which political prisoners were kept (National Socialists, Socialists, Communists). In any case there will have been "attempts" to flee. The most intriguing follow up question is then to ask whether any of these attempts would have been successful, or whether all attempts were in vain. For the camps in question, there were attempts, and some of them were successful. Translation: Sketch of the Anhaltelager Wöllersdorf, 1935. After the escape of three detainees on March 28, 1935, the deliberations surrounding the act of drawing this map concerned, among other things, the arrangement of the wire obstacles in the camp. The original of the sketch is drawn in several colours on tracing paper. Kurt Bauer: "Die österreichischen Anhaltelager 1933–1938", 2010. Wöllersdorf was the largest of these camp and might be regarded as a symbol of the whole system, standing for it pars pro toto –– as well as an unrepresentative, misleading example of the daily life in other camps. Others were reportedly much harsher in their treatment of detainees. So there were smaller numbers of escapees from these camps. Of a large scale revolt I have no information at this time. 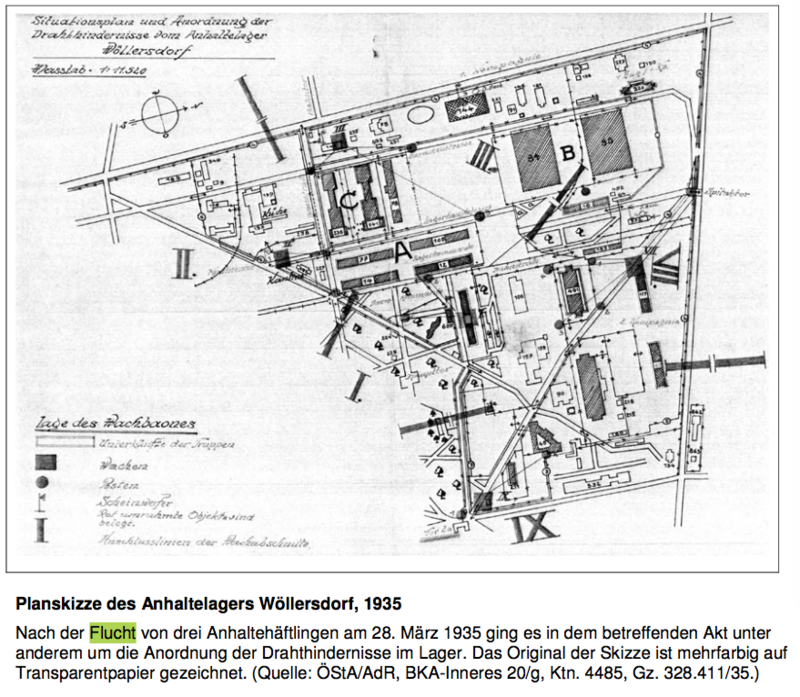 There was one large scale external "assault" on this camp Wöllersleben. A large external force ensured in one successful incident that all prisoners were released from that camp. Unfortunately, only the National-Socialists imprisoned there by the Austrofascists were really benefactors of that. That incident of course only taking place after the Anschluss in 1938. Most other prisoners were simply transferred to the real Nazi concentration camps of Dachau Mauthausen. Im Sinne der Propaganda einer sogenannten Befreiung wurde das Lager zum 2. April 1938 geschlossen und die Baracken niedergebrannt. Die Gefangenen wurden in das KZ Dachau verbracht. Translation: In the spirit of propaganda of a so-called liberation, the camp was closed on 2 April 1938 and the barracks were burnt down. The prisoners were taken to Dachau concentration camp. Was Marie Antoinette considered a fully legitimate bride for the heir apparent to the French throne in 1770?